If there is one product I can’t live without, it’s foundation. I have nice skin as it is, but a good foundation just makes everything seem flawless and perfect. There will be days I go sans face makeup, but if there is one thing I apply, it’s some sort of coverage, whether it’s a BB cream or foundation. I used to be a huge snob when it comes to foundation, but ever since I tried CoverGirl’s Stay Fabulous, it opened the flood gates for drugstore brands. Don’t get me wrong, I still love Laura Mercier Silk Creme Foundation, but ever since I ran out of it, I’ve been using my Stay Fab instead. Stay Fab is definitely a full-coverage foundation, perfect for a night out. Although I love a full-coverage face, I like wearing something a little lighter during the day. 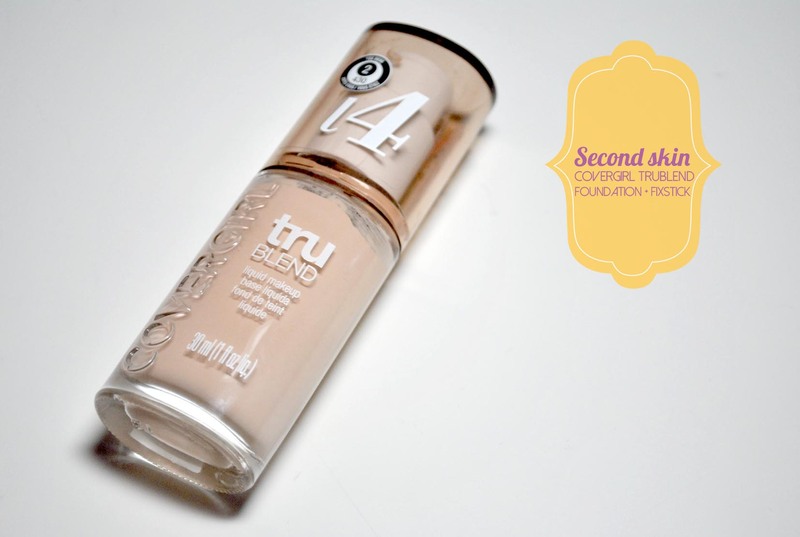 Recently, CoverGirl updated and repackaged the TruBlend line to include 14 shades that match 98 per cent of all skin tones in Canada. TruBlend Foundation is a water-based formula that blends into the skin for a more forgiving coverage, even if you choose the wrong shade. As a result, your skin looks natural and seamless and provides flexibility for slight changes in skin tone throughout the season. TruBlend is definitely a lighter foundation than Stay Fab, it’s billed as light to medium coverage, but it is buildable. It’s also thinner than Stay Fab, no doubt because of the fact it’s water based. I have it in the shade L4 (this was the lightest one they had at Wal-Mart that wasn’t sold out) and find it’s a perfect fit for my skin. I do want to note that I was surprised on how nice it made my skin look. I have some redness in my face but nothing major, this did leave me with a flawless face. 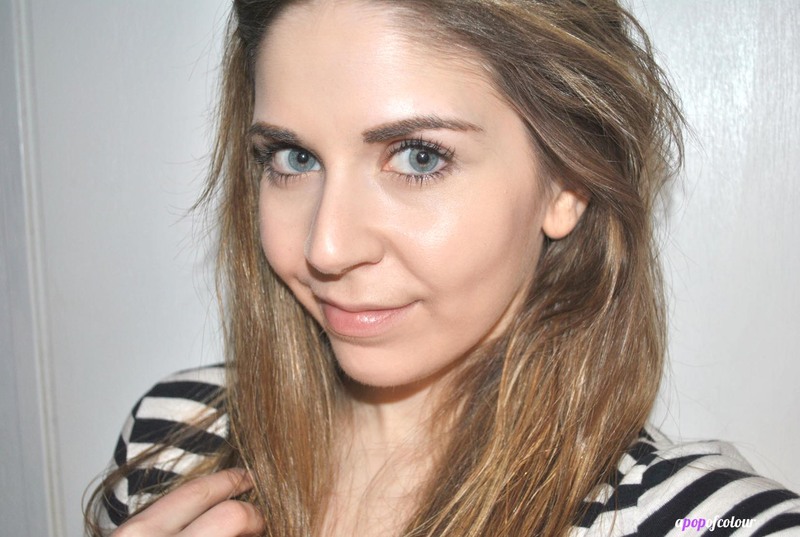 I do think this is a perfect daytime foundation, great for everyday. It makes my skin look flawless when it’s applied, however, after a few hours, it does start to wear away. For instance, I’ll apply it at 8 a.m. and then at 4 p.m. when work is over, it’s quite patchy. It’s not a huge deal to me, but if you want a long-wearing foundation, this isn’t it. I do want to add that CoverGirl also released their TruBlend Fixstick Concealer, which is a pencil concealer available in a few different shades. You can either reference your foundation shade to find your perfect colour, or customize for the look you are going for (example, get the lightest if you have medium skin to brighten the eye area). The concealer covers dark spots and circles and is quite creamy. It does have that plastic smell to it, but it’s not a huge deal. Overall, I do like CoverGirl’s new TruBlend collection. There is also a powder foundation, as well as Perfecting Balms that were also released in the line. For the most part, I have worn this foundation and concealer every day since as I got it, as it’s perfect for work (not too heavy). The only downside I have is that I wish it would last a little longer. 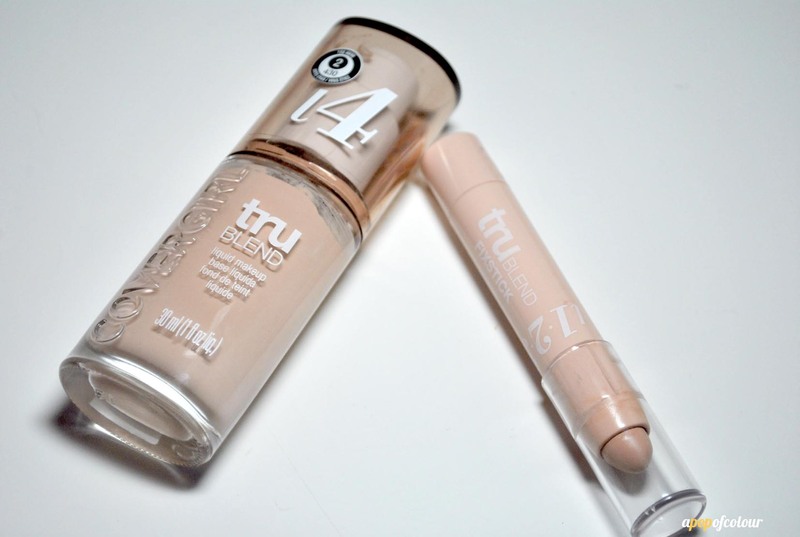 Have you tried CoverGirl’s new TruBlend line? What were your thoughts? A passion for pinks! My top pink choices for spring!